Meet the greenest home on the block. This Built Green Emerald Star certified home in Ballard is a first for the city of Seattle. 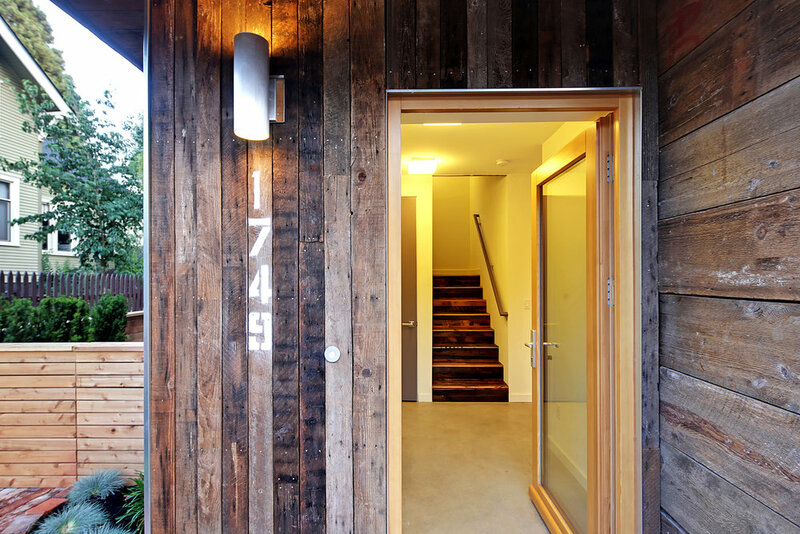 In collaboration with Dwell Development LLC, this three-story, 2,218 square-foot home was designed with reclaimed Douglas Fir for exterior siding and 100-year-old hand-sawn, mixed hardwood for flooring. 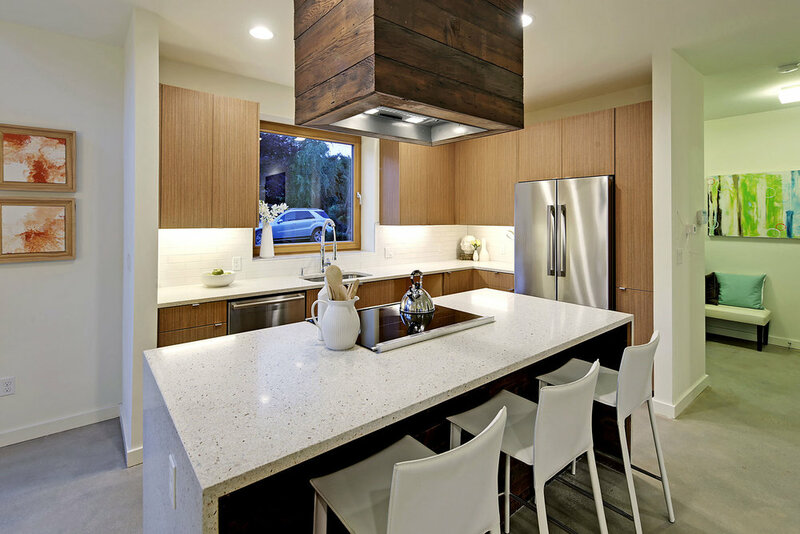 Countertops and wall tiles are made of high-recycled-content material. The home also features rooftop photovoltaic panels and a state-of-the-art heat pump designed to use 78 percent less energy than standard hot water systems.